Looking for a core resource for Pharmacy? Discover McGraw Hill’s AccessPharmacy. This McGraw Hill resource is a collection of pharmacy and medical textbooks, multimedia resources, information on drugs, herbs and supplements. More features available (case plans, NAPLEX review, etc.) 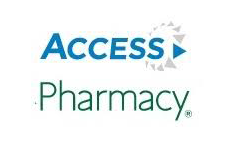 if you create a free MyAccessPharmacy personal profile. You’ll need to be on a computer, not a mobile device, to create your personal profile. To use the mobile version, first register for a MyAccessPharmacy personal profile. Then you will be able to log on to the mobile site using your username and password.